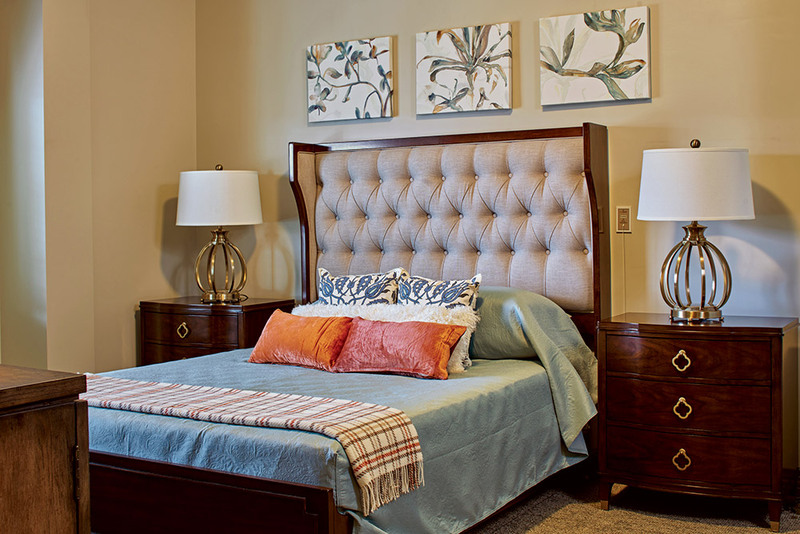 Located in Nashville, Tennessee, Woodcrest at Blakeford is a high-end building serving clients across the spectrum of care with a CCRC model. 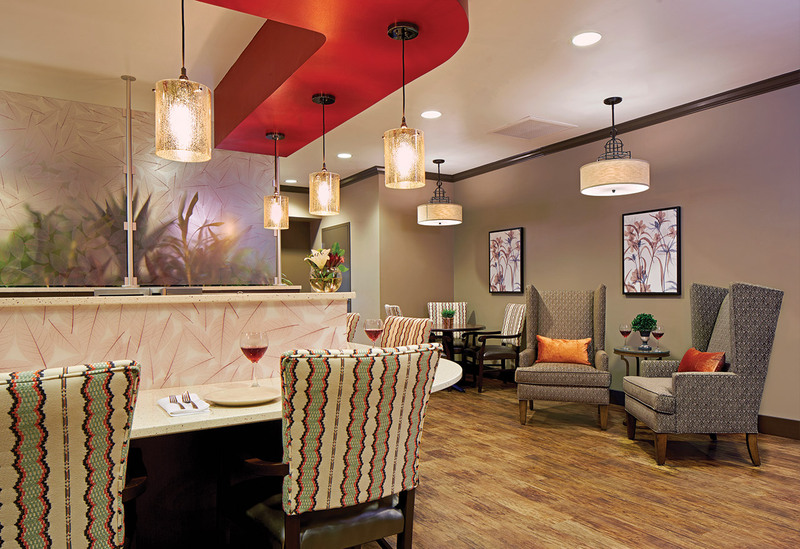 They saw an untapped opportunity when it came to rehabilitation and wanted to attract rehabilitation patients from local hospitals with an elevated offering and a hotel-like spa feel. To achieve this, they wanted to totally reimagine one of their Skilled Nursing wings into a contemporary rehabilitation destination. “Revamping part of our community was a large project for us. The Direct Supply team was so helpful in guiding us in the direction we needed to go while still giving us the ability to choose. My design consultant narrowed down options, which made it so much easier for me to decide. And she made so I couldn’t make a mistake because everything would go together. 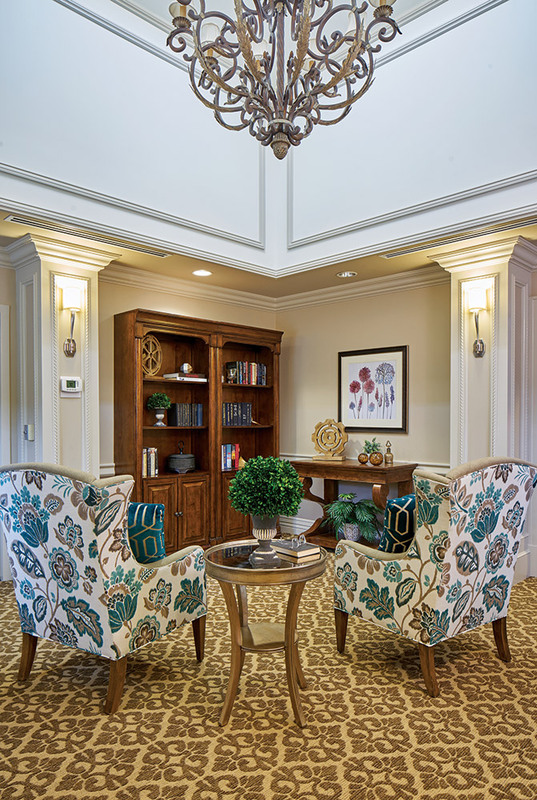 I was pleased with everything.” Laura W.
When Blakeford was ready to tackle this large renovation, they knew they needed a partner they could trust who not only had in-depth Senior Living knowledge, but could also bring their vision to life with show-stopping aesthetics and the right functionality. As a result, Blakeford partnered with Direct Supply, thanks to our positive track record on Blakeford’s previous smaller projects and our dedication to Senior Living. “The personal communication and personal service sets Direct Supply apart. We’ve had reps come by to visit us, and when we needed help, we’d call and someone would show up. I would absolutely recommend Direct Supply. They were easy to work with and a very responsive group. We had to return things and returns were easy.” Laura W.
When it came to design direction, the client gave a lot of freedom to our design team to come up with something fresh and high-end. Their goal was a state-of-the-art rehabilitation space featuring a modern design with pops of color and a hotel spa feel. Direct Supply’s design consultants delivered. “The most fun part for me was seeing it all come together. We did such a big remodel, and when the truck was unloaded, there was so much packaging material everywhere, but Direct Supply guided the movers to where everything went. By the end of the day, the rooms were set up and looked beautiful. 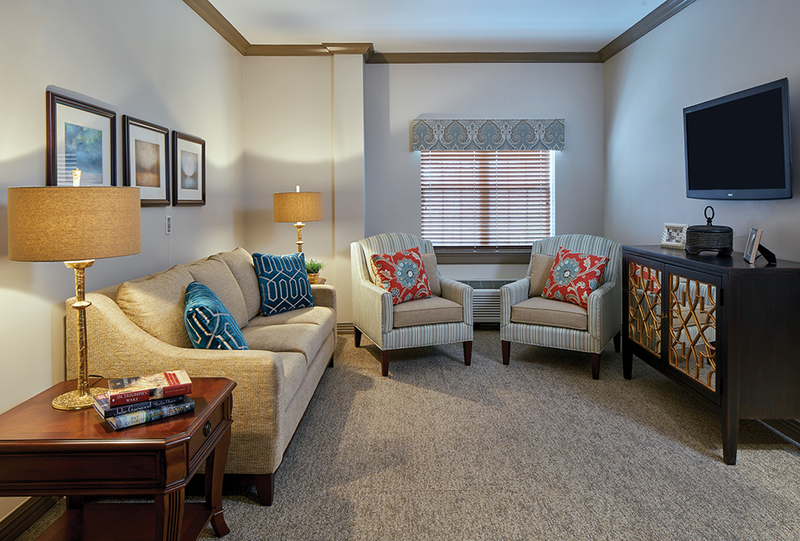 Watching it all come together was really the highlight for me.” Laura W.
In the wake of this successful renovation, Blakeford is engaging our team on another big transformation – their Independent Living area, which is positioned at the primary entrance to the community. We look forward to bringing this new space to life and helping Woodcrest at Blakeford make even more wow-factor first impressions.